That was the advice my mom gave me when I was thinking about taking a random girls trip to New Orleans 5 years ago. This sweet girl, Leah, who I’d never met in person, was organizing a spontaneous girls trip to NOLA. I had just broken up with a boyfriend, was feeling uninspired in general and was intrigued with the idea of leaving town. But, it was so out of character for me. First off, I didn’t know any of these girls. Traveling with people you know can be challenging, let alone traveling with people (especially girls) you have never met. Although I had done it many times for work throughout my life, this seemed totally different and almost selfish. Also, I’m a planner. I used to not be able to stand spontaneous people or do anything by the seat of my pants. I mean, I make lists every morning. And, taking any time off around the busiest time of year for me usually wouldn’t happen. This would be doing something totally for ME. Needless to say, I went for it. I met Deena at the airport and we flew out together. 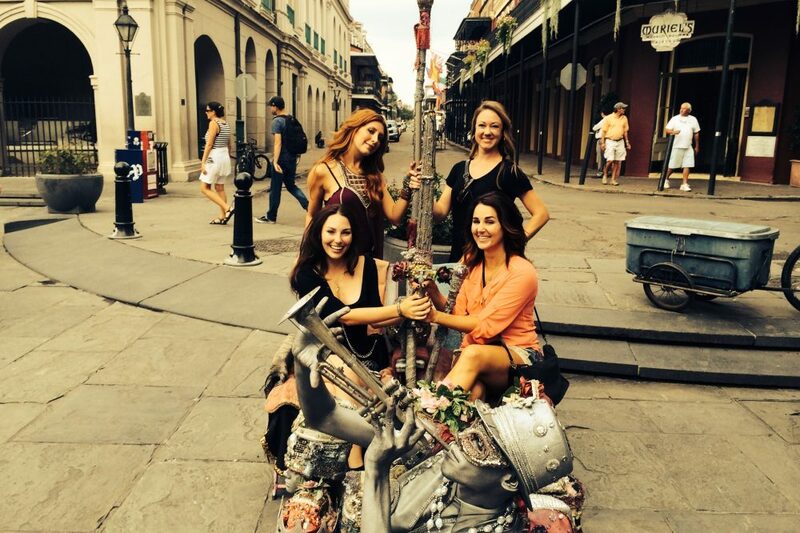 Rachel and Leah met us in NOLA. Savana sat next to me at dinner and we instantly became sisters. Turned out she lived 4 miles from me in LA, but we had to fly to NOLA to meet. Long story short… It was one of the better experiences I’d had in a long time. As I came upon these pics from NOLA, I was reminded of how important it is to push myself beyond my comfort zone in all things big AND small. In fact, if the thought of doing something makes me slightly uncomfortable, it’s a sign that I probably need to explore it further. Great things never come from comfort zones, do they? Something ventured. Something gained. Always.